I had contemplated getting a Fitbit Zip for quite some time, but it wasn’t until this holiday season that I finally decided that it would be a practical thing for me to have. For the majority of last year, I did a really good job with exercising regularly and making sure I was being active enough each day. 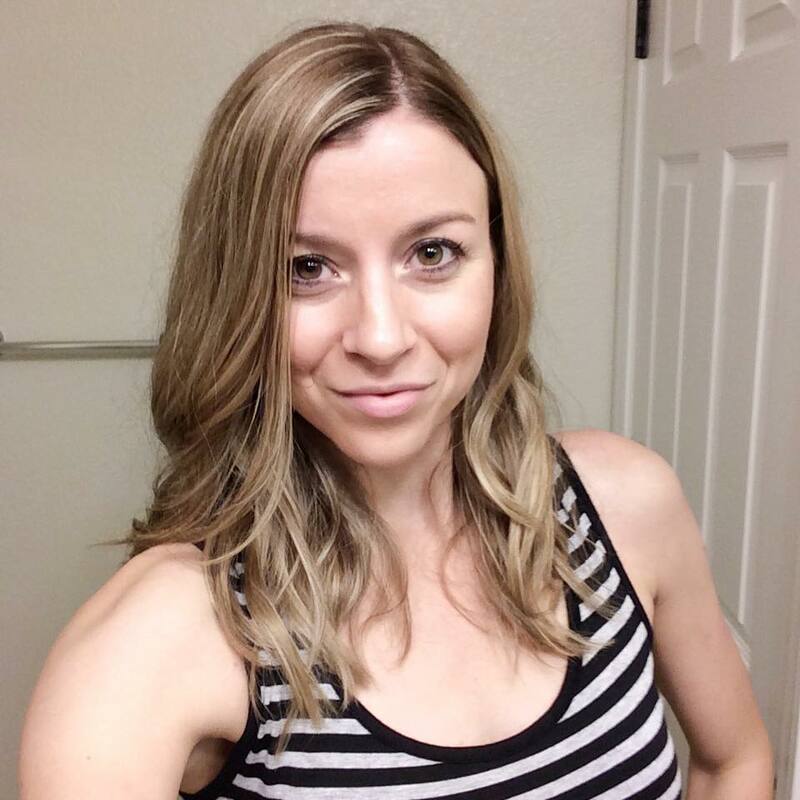 Unfortunately, I started to slack off as the colder months began and I just couldn’t find the motivation I needed to stick with my workout program. When I was making my Christmas wishlist, I decided to ask for a Fitbit Zip so that I could monitor my everyday progress and see what changes I needed to make in order to be healthy on a daily basis. 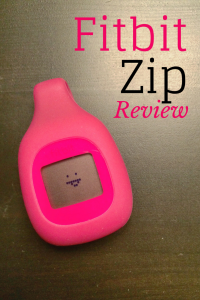 I wanted to write this Fitbit Zip review so that anyone who is thinking about getting one could evaluate whether this is the right device for them. There are tons of fitness tracking devices on the market right now (i.e. Jawbone, Garmin, other models of the Fitbit), but I honestly wasn’t super interested in all the high tech features that the more expensive versions have (like the sleep tracking). When I first opened my Fitbit Zip, I was surprised to see how small it truly was. The packaging is a little misleading because you don’t see the silicone case clip that comes with it (this is included in the lower portion of the box). After finally piecing it all together, the device measured no more than two inches high and it was super lightweight. I’ve worn this fitness tracking device ever since I got it and I can honestly say that I don’t even know it’s there unless I’m thinking about it. I usually place it near my belt loop on my right hip, but you can also place it on a pocket or sports bra. Having a smaller device definitely gives you more options for placement whereas the more advanced wrist devices, like the Garmin vivofit, are worn on your wrist. Upon initial setup, you can sync your Fitbit Zip with a computer (USB sync device is included) or you can turn on your phone’s Bluetooth, download the app, and complete setup that way (this is the method I chose). When registering, I was asked some basic questions, like how old I am, what my gender is, and how much I currently weigh. You can also input various goals, such as how many steps you would like to walk each day, how many calories you want to eat, and the amount of active minutes you will be aiming for every 24 hours. The site just so happened to be down for most of the day when I got my device, so I had to wait a little while to set it up, but I’ve had no issues since. Overall, I found the entire setup process to be very user-friendly and easy to understand. 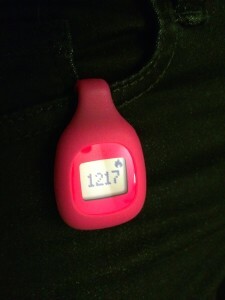 I wasn’t lying when I said that this device is more than a pedometer. Sure, I can easily monitor how many steps I’ve taking that day (the numbers start over at midnight), but I can also tap the Fitbit Zip to change screens so I can see the distance I’ve gone, as well as approximately how many calories I’ve burned. The screen will also display the time and smiley faces if you would like it to, though you may want to turn them off if you start getting a face with a tongue sticking out all the time (that’s a sign that it’s time to get up and get moving)! And in case you were wondering how the steps are counted, no it’s not by swinging your arms a million times or doing anything crazy. My boyfriend pointed out that it probably picks up the pounding on the floor when you walk. Now, that doesn’t mean you should stampede down the hall! Just simply walk how you normally would and it should track your steps. You Can Track Food Intake, Too! One of the benefits of having the Fitbit Zip (or any device by the company) is that you can track your exercise, as well as what you’ve eaten. All you have to do is click the silverware icon where it says ‘calories eaten’, click the ‘+’ sign, then search for the food you ate. You would be surprised at how much food you can find just by using the search feature! I was really worried that I was going to have to manually input all of my meals and snacks at first, but I quickly learned that most of the things I’ve eaten have already been placed in the system. For example, I had a pancake combo at IHOP recently and I saw that it was listed in my app. Can’t find the right serving size? No worries! If you click on the food item, you can change the serving size to match what you ate, and you can also designate the time you had the food (i.e. breakfast, lunch, dinner, morning, afternoon, evening). In the app or on the website, you can also log any exercise you’ve completed, such as running, cleaning, or hiking. You should be able to input the workout and how long you engaged in the activity. The technology will do all the calorie calculations for you (based on the weight and measurements you provided before) so that you know approximately how many calories you burned. Although I received the Fitbit Zip as a gift, I would still say that the price tag is reasonable, especially given all the little features you get with it. I had a pedometer at one point and wore it for maybe a day or two, but I’ve been adamant about wearing this device every day so that I know where I need to make progress (and right now, there’s a lot of progress to be made). Ok, I seriously underestimated how much effort it takes to get 10,000 steps every day. On one day, I walked the mall and through a bunch of stores, had 22 active minutes logged, but still had less than 5,000 steps. You almost have to walk randomly around your house or go for a long walk each day to make sure you get all of your steps in! Even though I haven’t reach 10,000 steps yet, I keep it as my goal so that I have something to work toward. Although my Fitbit Zip resets at midnight daily, I can still go back and see how many steps I’ve taken in the past or how many active minutes I had. I’m really glad that I asked for one for Christmas because I’ve enjoyed having the extra motivation. If nothing else, I’m much more aware of how inactive I am during various times of the day (I can see a graph of all my activity for each hour). I hope to continue to use my device to get on track this year and get back into working out consistently! 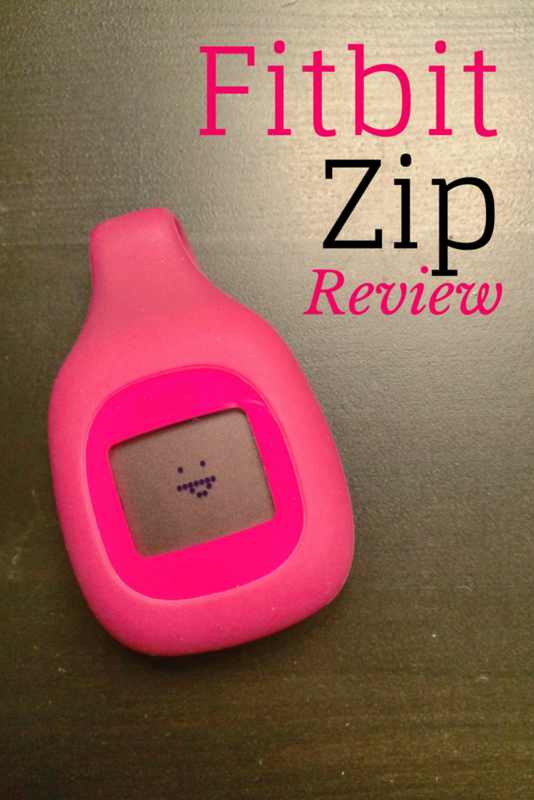 Do you have a fitness tracking device? What is your favorite feature? Do you have to charge it often? Mine has a battery so I don’t have to worry about it losing juice throughout the week! My flex went through the wash so I haven’t been able to use it and I miss it so much! Looking down and seeing that number was the ultimate encouragement! I have a fitbit flex (the wrist one) and I love it! I have been wearing it everyday since I got it as well to track my progress and since getting it I have improved a lot because I want those dang green smiley faces! 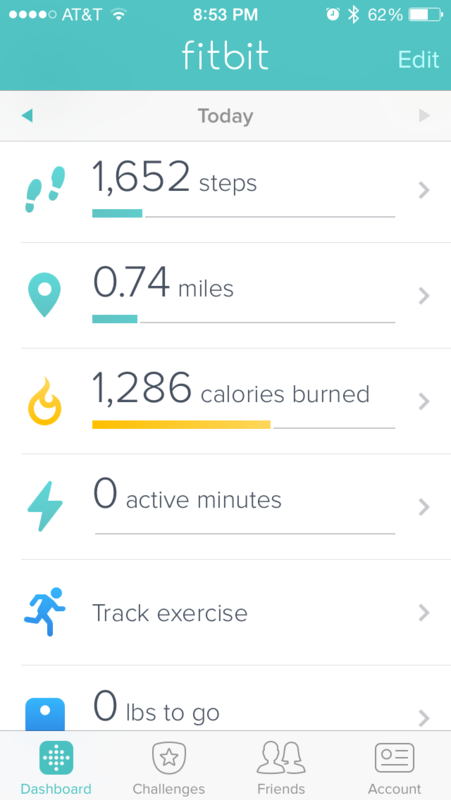 I am actually doing a post on Monday “Why my Fitbit Owns Me” because let’s be real, they do! Feel free to add me as a friend on fitbit! I can’t wait to read that post, Ashley! I’ve really been thinking about getting something like a Fitbit. Thanks for sharing all this information! Now I have a better idea of what they do and how to use it. I thoight they were just like a pedometer haha. 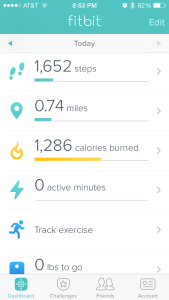 I have a FitBit Flex and you are right, I definitely underestimated how many steps I take in a day! I love how it makes me aware of moving, but I have to say I’m not in love with how it tracks. When it’s on my wrist, and I walk with my arms crossed (being cold or whatever), then it doesn’t count the steps! I tested it by swinging my arms like you mentioned without walking, and it counted it as steps!! I usually take it out and put it in my pocket, but I’m pretty afraid of losing it that way too. It holds a charge for quite a while, but the jury is still out on the model. Thanks for your review, I love the visual of the smiley faces and the cute size!! I’m not sure there will ever be a completely accurate fitness tracker out there, but I am impressed overall with all the features that each Fitbit offers. I love how much it can keep track of! I have a fitbit and LOVE it! I wear it everyday and check it religiously lol.